The Congress party on 8 December criticised the Centre for holding the Opposition responsible for the deadlock in Parliament and said it was Prime Minister Narendra Modi's silence that needed to be blamed for the prolonged impasse. 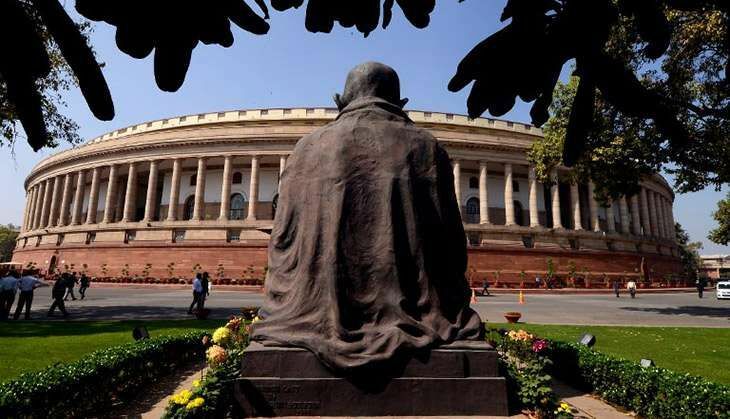 Congress leader Om Prakash Mishra said, "It is Prime Minister Modi who has been bunking the parliamentary session; it is his party that is refusing to discuss demonitisation under a rule in the Lok Sabha and the Rajya Sabha." "The Prime Minister is an absconder, so he is the one who is undermining parliamentary democracy, he is the one who actually has attempted to question parliament, it is he who actually has been habitual absenting from the proceedings of the Parliament" he said. BJP veteran Lal Krishna Advani on Thursday expressed his ire over the repeated disruptions in Parliament post the government's demonetisation drive, holding both the ruling dispensation and the opposition responsible for the deadlock. Advani, who put forth his concerns before Parliamentary Affairs Minister Ananth Kumar, said both the government and Opposition benches are party to the repeated disruptions in the Parliament. He demanded that action should be initiated against those lawmakers responsible for the continued deadlock in both Houses. He also demanded that there should be a cut in their salaries for their adamant attitude. The BJP veteran asked the government to find a way out or ensure that Lok Sabha Speaker Sumitra Mahajan asks the protesting lawmakers to leave parliament. Kumar later met Minister of State for Parliamentary Affair SS Ahluwalia to chalk out the future course of action in Parliament. Union Information and Broadcasting Minister M Venkaiah Naidu was also present in the meeting. Advani's outburst came as the demonetisation issue continued to disrupt proceedings in Parliament. Since the beginning of Winter Session of Parliament, the Opposition has been demanding a debate on demonetisation along with Prime Minister Narendra Modi's participation in the same.